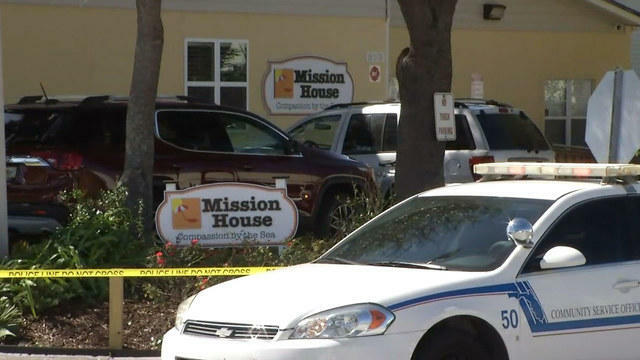 Two men were shot outside the Mission House in Jacksonville Beach Friday morning. Chief Pat Dooley with the Jacksonville Beach Police Department said the shooter, also a man, was taken into custody at Sunrise Surf Shop just over a block away from where the shooting was reported on the patio of Mission House. The 911 calls about the shooting came in just before 11 a.m. The two men shot were taken to Memorial Hospital, according to our News4Jax partner. Dooley said investigators found the handgun used in the shooting tossed between the Mission House facility and the surf shop. Dooley said about 30 witnesses were on the homeless center property during the shooting, and more than a dozen were taken to the police station for questioning because they have more information about the incident.